Our specialty is hand fed, fully weaned baby parrots raised in our own aviaries. We do not sell unweaned birds. Please browse our selection of bird toys, cages, food, gyms, playstands, and breeder supplies, all of which have been utilized in our breeding program or approved by our numerous pets and babies. 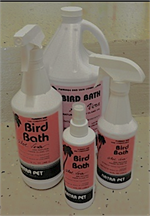 We are especially proud of our house brand products which we market as New Millennium Bird Products. Our Sprout mix , Natural Nuts, Dehydrated Fruits and Vegetables, and Seed Free Mixes form the core of our nutritional program. The hundreds of healthy, well adjusted baby parrots which we have raised on these diets provide the best testimonial to their quality. 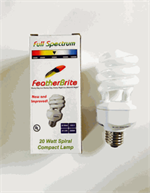 If you don't find items that you are searching for or have seen at other on-line stores, we will do our best to locate them for you at the best possible prices. Your input is always appreciated. Please don't hesitate to email your suggestions. Parrotxpress.com is the"one-stop shop" for all of your parrot needs! Search for products by manufacturer or product type using the links on the left. Please add this site to your list of Favorites and visit us again soon.